Our final year students have all been busy completing a research project that is the culmination of the skill and knowledge they have developed over the course of their studies. The dissertation is a chance for students to really focus their talents on a topic of their choosing and as academics it is really rewarding to see projects flourish over the course of the year. 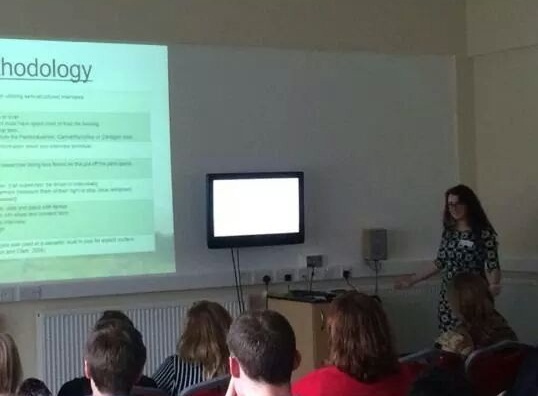 Some of our students are keen to enhance their research profile and this year some of our final year students attended The British Psychology Society Welsh Branch Annual Student Conference (this year hosted at Aberystwyth University) to present their research. “I will admit it was a daunting idea at first to consider sending off an abstract to the BPS to apply to present at the Annual Student Conference. An abstract is such a short summary of what proved to be a lengthy dissertation, but I was keen to promote my research as I am so passionate about it. I was also aware that presenting at a well-regarded conference at this stage of my career could only be a positive. I also had the support of my Dissertation Supervisor (Dr Shirley Hobbis), the Project Co-Ordinator (Dr Nick Perham) and the Programme Director (Dr Dan Heggs) which gave me encouragement to submit an abstract. I then received an email confirming my paper had been accepted for presentation and that I was to prepare a 10 minute presentation to provide an overview of my dissertation. That for me was the hard part. I am very passionate about my research area and it was very hard to condense my enthusiasm and hard work into just a few minutes! However following several re-writes and some careful presentation planning I succeeded. On the day I was fortunate enough to be going with a friend from university but I also met lots of fellow psychology students at the conference. Although the day is busy, because we were spending a whole day together I came away feeling like I knew them very well. I was very lucky to have a lot of people turn up to my presentation and to be asked a lot of questions. Looking back it is hard to remember what I said exactly but it went very well and I received a very positive reaction and lots of questions. So many questions in fact, I received emails about it the following few days. It was really pleasing to have so much interest in my dissertation! We are proud of all of our final year students who develop so much during their time with us and when they exceed as Claire has done we are prouder still! Well done Claire! Unfortunately this year our annual picnic was cancelled due to poor weather. This is the first year we have been unable to celebrate outside, but we were determined to celebrate anyway! 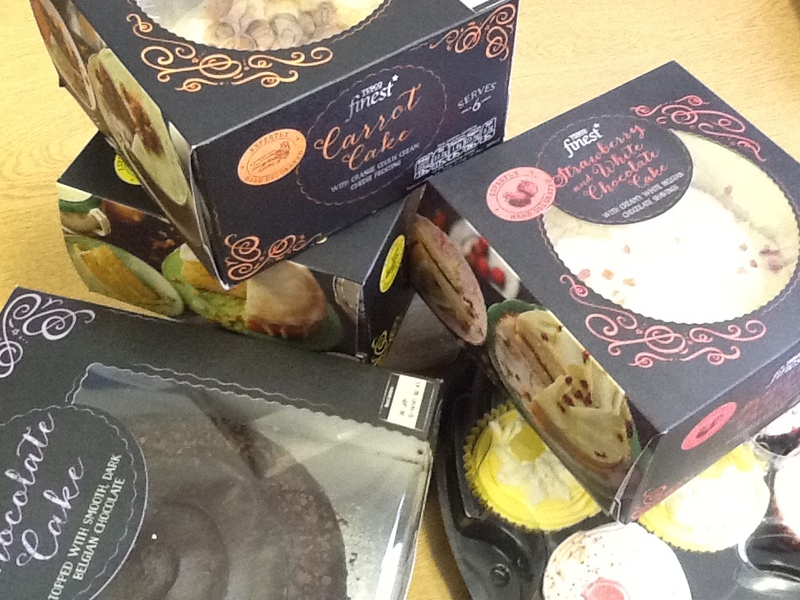 Instead staff, students and families gathered in our research area for coffee and cake. This has been a busy academic year for us with new modules, new placement opportunities and new members of staff so it was lovely to be able to mark the end of the year in a relaxed environment. As always it was really enjoyable for staff to spend some time with students outside of a lecture context. It is good for us to spend some time talking about non-university activities! As students enjoy their post-exam freedom and staff are busy marking it is important for us to make some time for some enjoyment. Thank you to all who came and we look forward to next year’s picnic where hopefully we will be fortunate enough to experience some sunshine!